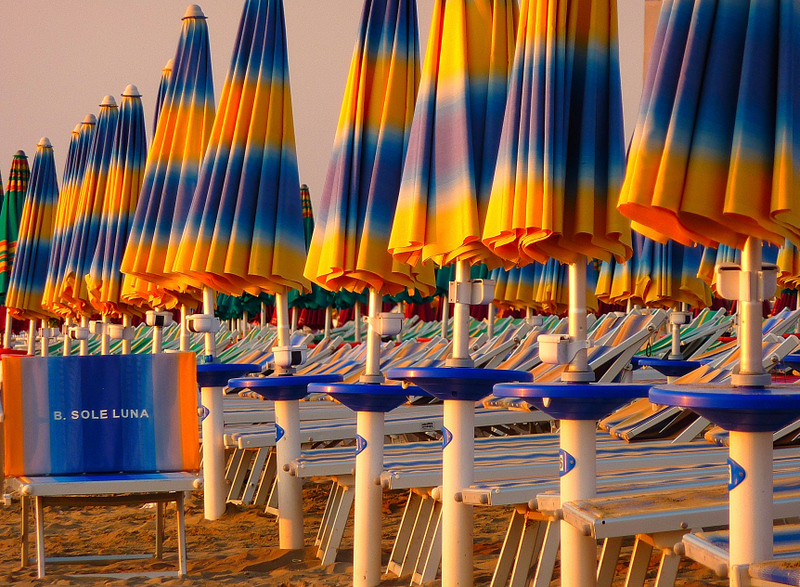 Lido di Savio Beach. Romagna, Italy. Great perspective and colors. Well done. V.
Ma dai ! Sei venuto dalle mie parti e non mi hai detto niente ! Glorious light on this early morning colourful scene. Bravo! Very colorful beach scenery here. The advantage of being early is, you can choose which wan to take ? ... Great eye V.
Excellent composition and GREAT colours!!! Bravo!!! I like the color and tone of this shot. Nice composition too. I love this quiet time!.Excellent angle! Fantastic shot! Colors very striking! V! It grabs your attention! The colors are beautiful in this really good composition! this is really beautiful. I really love the colorful pattern. Voted!! Love how you use beautiful color in your images! Awesome, voted! Talk about vibrant colour and beaut repetition! Great composition! Excellent combination of lines and colors! V! Splendid! Wonderful perspective and colors. BV. Wonderful colors and composition ! Fantastic photo. Spectacular colors! Bravo. V.
Excellent picture and so vivid colours. V.
Excellent capture, all perfect plus stunning colors, Voted. This is very eye catching and its superb composition. far left. But lov this regardless. Excellent perspective, clarity and colors. "V"